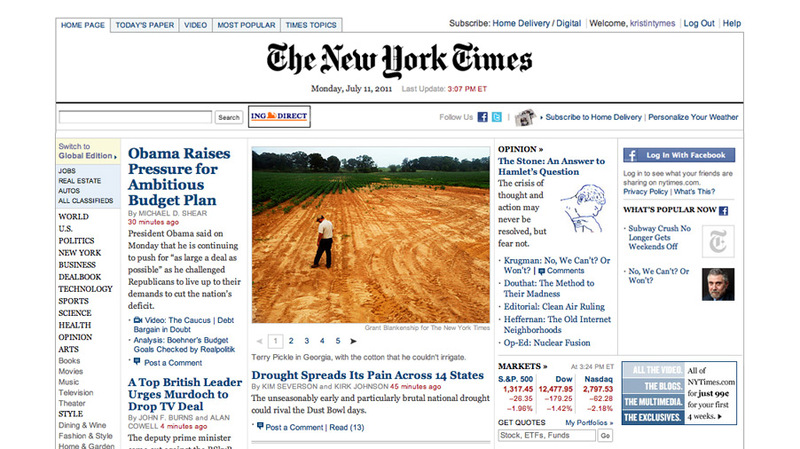 During the internship at the NYTimes.com web design group, I worked on different projects to improve and extend the experience of the site. 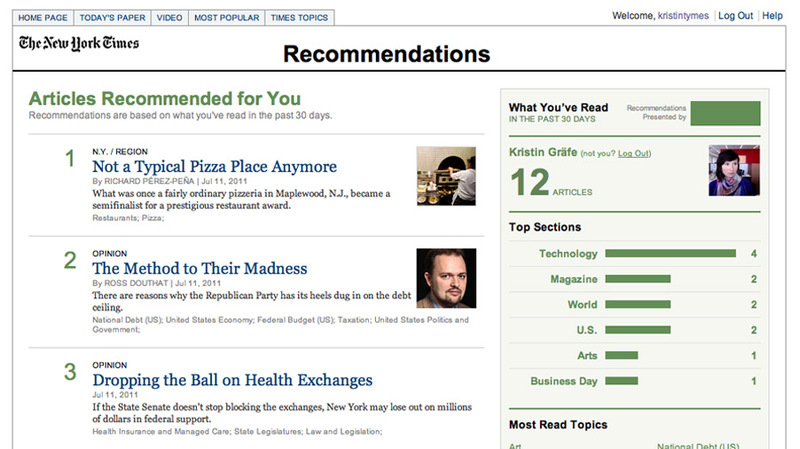 The work included the visual design of the New York Times Recommendation site. The site tracks articles read in the past 30 days in order to recommend 20 new articles alongside a visualization of sections, topics and content the user visits and reads most often. 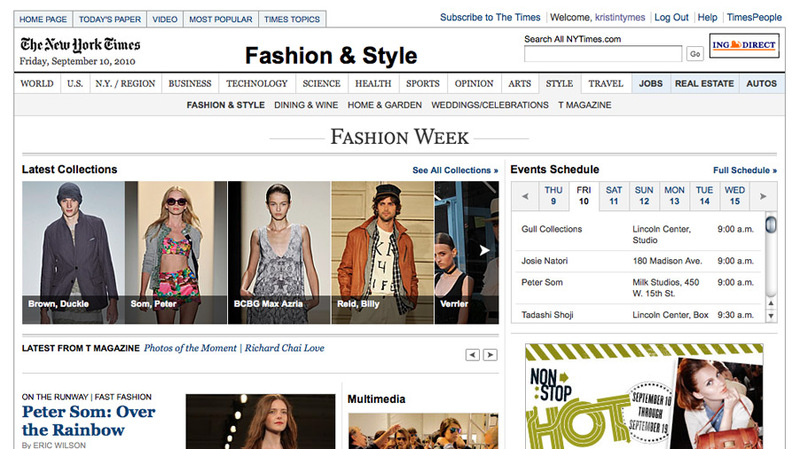 I also worked on the the fashion week events schedule for the September 2010 online issue.